The questions she asks are basic, and there's only 3 you have to answer. I like that they group everyone's responses by team member instead of by question. It's a basic standup program that gets the job done though. It's sometimes glitchy, especially if you don't respond. She'll sometimes think your sick or on vacation when you just didn't respond. Also, I would like it if you could answer the questions more proactively (like the day before), but this also makes the programming kind of glitchy. Compare and contrast to different standup products. My team tried this one out for a while and are now trying another one out. We'll see which one we like better and probably end up circling back to whichever one provides the most exceptional quality. Right now, I'm not sure if that's Standup Alice because of the glitches I mentioned before, but we'll see. Keeping team members accountable for their daily tasks. Standup Alice was one of the best and most simple bots I had ever used ever. 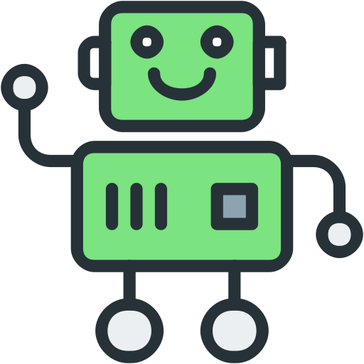 I don't normally use slack but, with the bot I decided to use slack even more because it's features were just out there and so nice and simple to use. I can't believe how much this bot has added to the experience of slack. My whole service team use this bot on the regular and we love everything about it. It does have it's kinks like disconnections and sometimes it has a long response time. This is most likely due to the servers slowing down then having to speed back up and taking a min to do so. Either way this bot is great with or without the downsides. We have become so much more organised with Standup Alice. We used to be out there and we had a hard time staying and getting things done because everything was just sloppy but, with the new Standup Alice we were faster to get things done and work better as a team. The bot does exactly what you need it to do when running asynchronous standup meetings. We use it to help make sure everyone is coming to standup prepared, as well as to collect responses from team members who have to miss standup due to conflicting meetings. No longer free. She also had a hard time adapting to day light savings time. There are plenty of free options out there with the same or similar functionality if you're looking to avoid the cost. Prepping for standup/conducting asynchronous standup meetings. "It met my mildest of expectations"
Standup Alice did exactly what we expected from her. It was an extremely easy way to keep everyone on the same page for current tasks and blockers. There's not a lot of room for error with such a simple tool. I would have liked if Alice changed her dialogue once in a while. It's kind of a pain to get people to accept it, but once they do everything gets a lot easier. It is a great tool for helping keep people accountable for their work. "A fine way to keep your team updated"
Personally I like it for my own accountability. I can go back and see what I had intended to get done each day. Great for keeping track of everyone's tasks, and visibility into other team members' daily tasks is great. Alice is simple and kind of annoying. She gets the job done, but ultimately we chose another bot that fit our needs better. We use alice every day for our standup meetings. Everyone has the info on their phone via the slack app, so we're all prepared to share what our days look like. It's pretty simple to use.. they ask you some basic questions so even if you're not super computer savvy and makes it pretty easy to keep everyone on track. It sometimes has a long response time. It also disconnects from time to time which can also be frustrating. group settings.. keeps people on track. Standup Alice has streamlined our daily scrums and made it super easy to go back and check on each other's plans and work. There's nothing that comes to mind that I specifically dislike. Sometimes if you send a message to Alice before she asks one of her prompts, she takes that message as the answer anyway. We have streamlined our meetings and created an easy backlog of daily schedules and tasks. "StandUP Alice is a great tool"
StandUP Alice helps us keep track of productivity and current issues. It can be a bit spammy sometimes and takes up a lot of space in the channel. Communication. Making sure everyone is accountable. "Stand Up Alice is a great product for Slack"
Helps us to have a general view on how the projects are going. * We monitor all Standup Alice reviews to prevent fraudulent reviews and keep review quality high. We do not post reviews by company employees or direct competitors. Validated reviews require the user to submit a screenshot of the product containing their user ID, in order to verify a user is an actual user of the product. Hi there! Are you looking to implement a solution like Standup Alice?